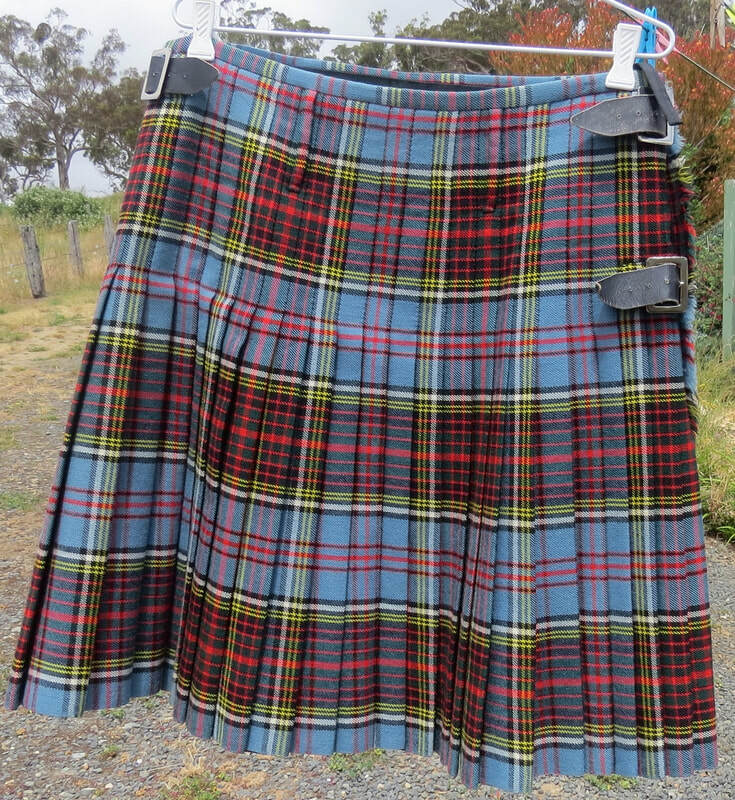 CLEANING KILTS: various options. I handwash separately with woolwash, briefly, in luke-warm water, and rinse briefly in cold water. Lay flat to dry on a towel over a garment-airer, arranging the pleats. When it is nearly dry, hang it up, preferably on a trouser-hanger – until it is completely dry. - Bird Jensen's method: Bosisto's spray. You can get this in the healthcare aisle at Woolies or Coles, or at Chemist Warehouse.http://www.chemistwarehouse.com.au/product.asp?id=57309 All you need is a good garment steamer, the eucalyptus spray, lavender spray (same area in the supermarket), a spray bottle, some very cheap, no-name brand, highest-strength vodka (no! it's not for drinking! ... put it in the spray bottle), a non-shedding facecloth, a good lint-removing brush, and a fabric comb (both these are in the haberdashery aisle of the supermarket). ​Postage within Australia without extra packaging $15. Postage costs outside Australia are prohibitive. 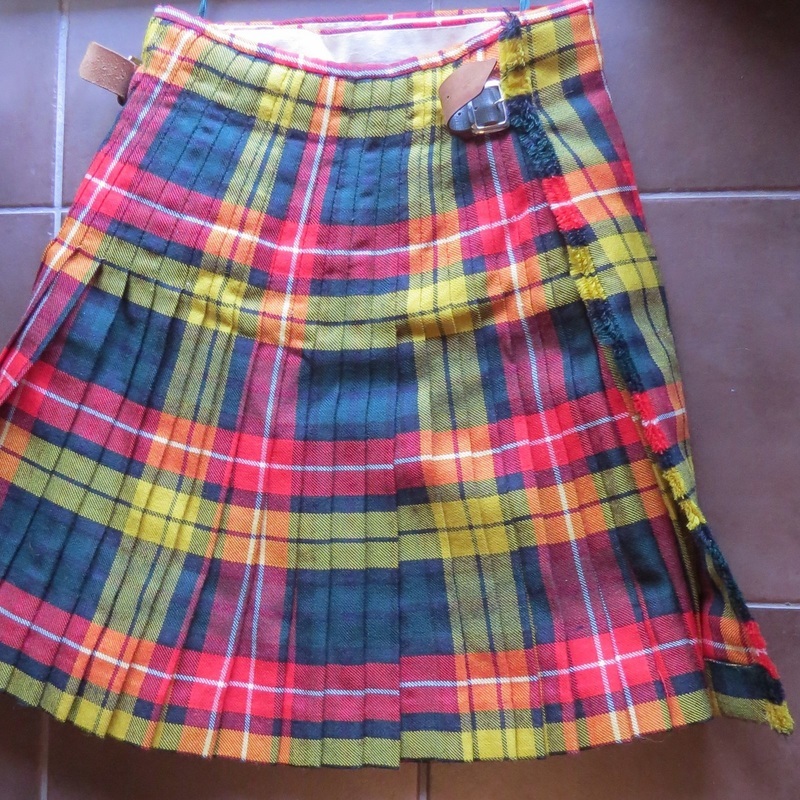 Air your kilt after each wearing. The straps will benefit from leather conditioner from time to time. Handwash coloured shirts separately, drip-dry in shade. 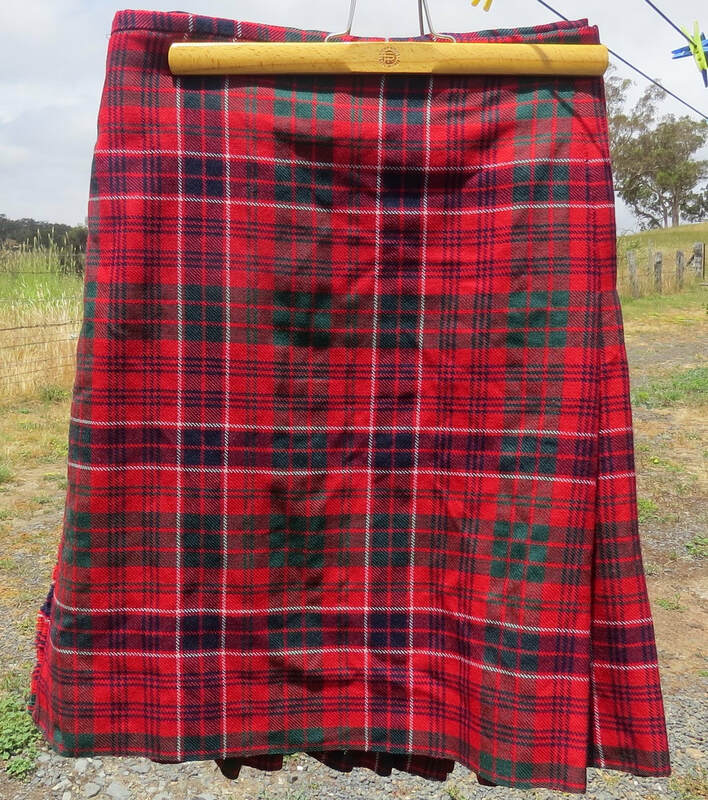 Very heavy kilts may be best stored flat. Wallace 34-35 1/2". new, synthetic, lightweight. Matching tie for extra $10. Anderson 5-yard Waist 26” / 66-73cm Drop 26” / 66cm 3 straps. MacRae Modern Red. W29” / 74-81cm Drop 23 ½” /60cm 3 straps. K23 Buchanan, wool, very heavy. Waist 31-34" / 79-86cm, drop 23" / 59cm, and 2" hem. With slightly battered tie. 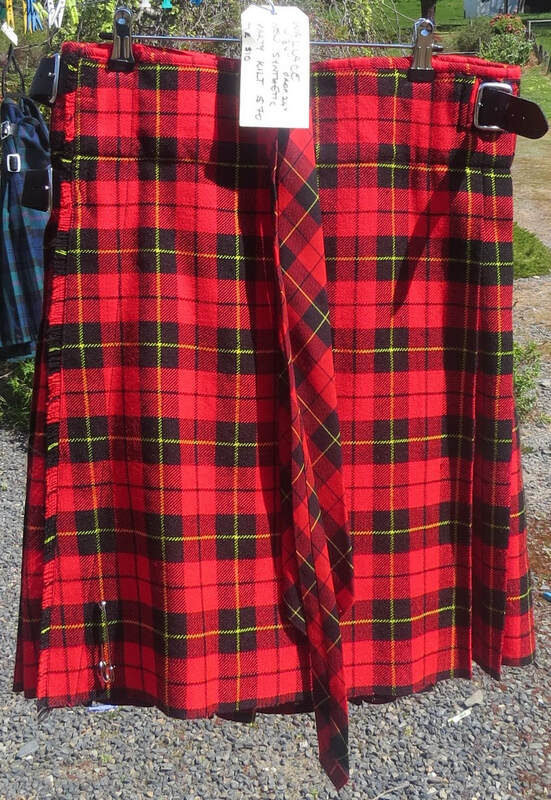 See list on Menswear 5 for other Buchanan kilts.